When creating Azure Functions that are triggered by an HTTP request, you may want to write unit tests for the function Run method. These unit tests can be executed outside of the Azure Functions runtime, just like testing regular methods. If your HTTP-triggered function takes as the function input an HttpRequest (as opposed to an automatically JSON-deserialized class) you may need to provide request data in your test. As an example, consider the following code snippet that defines an HTTP-triggered function. If the the preceding code is executed in a test, some content needs to be provided to be used when accessing req.Body. To do this using Moq a mock HttpRequest can be created that returns a specified Stream instance for req.Body. When the preceding test is run, the function run method will get the contents of the memory stream that contains the JSON. To learn more about using Moq to create/configure/use mock objects check out my Mocking in .NET Core Unit Tests with Moq: Getting Started Pluralsight course. or to learn more about MemoryStream and how to work with streams in C# check out my Working with Files and Streams course. 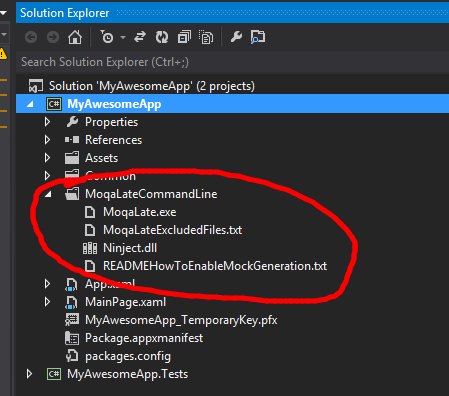 In previous posts we saw how to get started testing ASP.NET Core MVC controllers and also how to use the Moq mocking library in .NET Core tests. If there is code in controllers that needs testing, but the controller has a dependency, for example passed into the constructor, it may not make sense to use the real version of the dependency. In these cases Moq can be used to create a mock version of the dependency and pass it to the controller that needs testing. In the preceding code, the controller takes an ISmsGateway dependency as a constructor parameter. This dependency is later used in the the Send() method. 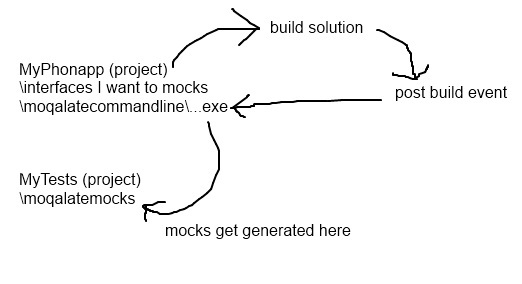 To learn more about using Moq to create/configure/use mock objects check out my Mocking in .NET Core Unit Tests with Moq: Getting Started Pluralsight course, and to learn how to get started testing ASP.NET Core MVC applications check out my ASP.NET Core MVC Testing Fundamentals Pluralsight course. My newest Pluralsight course has just been published. Long-term customer satisfaction, agility, and developer happiness are crucial. A quality suite of automated tests helps achieve this. This practical course covers how and what to test at the unit, integration, and functional UI levels; and how to bring them all together with TeamCity continuous integration build server. The course helps to keep your software soft with the right automated tests at the right level. If you’ve never used Pluralsight before you can sign up for the free trial and get started. With Windows Store apps there are challenges getting traditional mocking frameworks such as Rhino and Moq working due to limited reflection support in the platform (presumably for security reasons). I wrote a mocking solution when Windows Phone 7 first came out, it can also be used for Windows Store apps. I’ve updated the NuGet descriptions etc. to reflect this. Create a new (C#/XAML) Windows Store app project in Visual Studio called “MyAwesomeApp”. Create your test project “MyAwesomeApp.Tests” and reference your main app.